Having nearly died from her allergies a significant number of times, Dr Judith Holloway, Associate Professor within Medicine at Southampton, has made it her mission to use her experiences to inspire and educate a new generation of allergy experts. Judith has been transforming the education experience for the MSc Allergy course, for which she is the Programme Director, since taking on the programme in 2007. She was awarded the Vice Chancellor’s Teaching Award in 2010, and has now been appointed as a National Teaching Fellow; an accolade which verifies her passion and influence on the world of education in her field and beyond. Her impact on the course is such that it has been awarded World Allergy Organisation Centre of Excellence status for 2014-19, and receives endorsement from the British Society for Allergy and Clinical Immunology (BSACI) and the European Academy of Allergy and Clinical Immunology (EAACI). My lifelong experience as a patient with allergies that affect both mine and my family’s quality of life, has driven my passion to be involved in research and education in allergy. I give my students the knowledge and skills to enable them to save lives and improve quality of life in thousands of people living with allergy worldwide. It was the confession of a student at the beginning of her role as Programme Lead which sparked her quest for a more accessible and innovative education experience. She was told that the knowledge learned in the subject was not easily applied in practice; in that, she found the motivation to redesign the course to better suit the needs of her students. Judith’s goal from the beginning was, and still is, to ensure that students benefit from a focused and dynamic education experience. Using innovative approaches to familiarise complex subjects such as memorable analogies, recognisable backgrounds, and meaningful, real-word assessment techniques, her students are able to understand, process and progress through their course, changing the way they practice in their careers. Students on the course are assessed in a way which maintains a relevance to their careers, meaning that they can automatically apply their knowledge to their practice. Examples of this include multi-disciplinary group work, guided critical reflection, work-based learning and translational assessments. It is this relevance to practice that remains a vital focus for Judith in her work at the University. Technology is often a focus for educational innovators at Southampton, and Judith is no exception. Her use of Blackboard – our Virtual Learning Environment – has evolved to suit all students in the department, hosting all relevant information across a diverse range of needs. The clear and concise structure once again mirrors her direct and simplistic approach to teaching complex subjects and was recognised with a Blackboard VLE award in 2015. Other technological activities Judith has employed to enhance her students’ experience include audience response systems and Nearpod, which encourages the use of devices in lectures and seminars to engage students further. Judith’s passion for advancing allergy care across the globe is boundless. It is not only the accessibility of her programme and her use of technology, however, which makes Judith stand out in her teaching excellence. Her holistic approach to education means that she places a significant importance on mentoring and support for her students. Students have described the Judith’s support as “caring and compassionate”, stating that she offers an “exceptional level of encouragement and guidance”. Her recognition that wellbeing and a personal approach to education has not gone unnoticed, and she has introduced this formal pastoral support system across the postgraduate student community in the department of Medicine. Her support extends from mentoring her own students to her colleagues too, and her excellence in education is something that she is hoping to share with her fellow experts, lecturers and academic colleagues. Judith’s collaborative approach to education extends beyond mentoring colleagues and students; she aims to inspire others to take the same approach, focusing on the students’ needs first. Working within her department and further afield, she hopes to continue to lead and inspire. 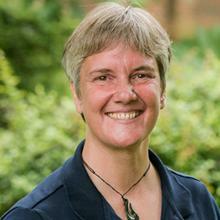 Dr Judith Holloway is Associate Professor within Medicine at the University of Southampton.